At Essex Garden Care we now provide complete installations of artificial grass for those that want to have green grass 365 days a year and do not have to deal with mud in the winter and dry brown grass in the summer months. Why Synthetic Turf In Essex? 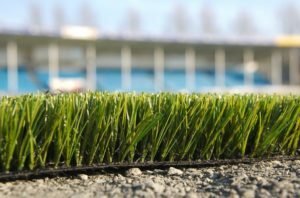 ‘Fake’ or Synthetic Grass has developed ever since the early 2000’s and the majority of artificial turf available now in major DIY stores are of various quality, from the very cheap to the highly realistic, yet fairly expensive premium artificial grass. We find that many people approach us for artificial grass installation in Essex and the majority of the time it is because they are simply not content with having a small muddy back garden in the winter, especially if they have dogs that need to go outside in the winter. By transforming their muddy gardens we have given back an outside space that can be used all year round. Artificial Putting Greens: We’ve been approached by local golf clubs to build out an ‘all-year-round’ putting and chipping area for their members. This is normally a case of using a 3 tier system, whereby we use the shortest and most durable artificial grass for the putting green and then create a fringe and longer grass to chip out of. Patio Grass: In most modern urban areas there is less and less space available for people to use as outside space and what it normally available is smaller concrete areas. By changing that area into a durable green space we have been able to provide an artificial grass area for our clients that can use in the winter months. Artificial Roof Gardens: There are a number of terraces in Southend on older Edwardian Houses that have been unused and by adding artificial grass onto that roof terrace we’ve been able to give the owner of the roof terrace reason to visit the outside all year round. Children’s Play Areas: Schools that have limited space and need to provide a suitable climbing frame space that their children can use all year round will contact us for artificial lawn requirements. 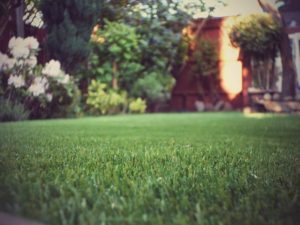 As with a material that can be relatively cheap, or fairly expensive the overall cost to supply and fit synthetic lawn in your garden will largely depend on the style and quality of the artificial grass that you choose to have installed. We find that most of our customers choose to have the premium synthetic grass that most resembles real grass, through feel and texture and is the most durable. The costs will likely be within the range of £50-60 per square metre.